Speed Tuning Tool for Panasonic 36V mid-mounted .. Speed Tuning Tool for Panasonic 36V mid-mounted engines. Even suitable for Panasonic New Generation Motor 2014. The Sx2 Dongle doubles the Panasonic engine support from 25 km/h to 50 km/h (≈ 31 mph). Easy handling / plug & drive. Tuning is reversible at any time. All assistance levels of the Panasonic engine are kept. The Sx2 Dongle doesn´t generate any changes in the motor electronics. This tuning tool requires no battery. Very robust and 100% outdoor suitable due to encapsulated electronics. Theft-proof because of its pluggable design. A high-quality electric bicycle tuning device Made in Germany. Drive your Panasonic electric bike twice as fast - with full engine support! If you are fed up with the motor power cutting off as soon as you reach the 25 km/h speed limitation of your Panasonic electric bicycle engine, you have to check out the Sx2 Dongle. This highly approved tuning device will shift the motor support up to (twice as fast) 50 km/h! By the way, the assistance levels of your Panasonic engine won´t be influenced, because the Sx2 Dongle activates itself not before you reach a speed between 13 and 25 km/h. 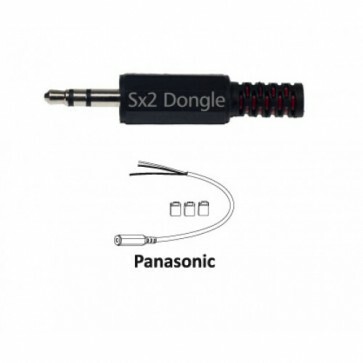 Due to its pluggable design the Sx2 Tuning Dongle can be removed in a few seconds. After that is done, your electric bike is back in its original state and you can use it legally on public roads again. The Sx2 Tuning-Dongle is robust and splashproof encapsulated - this means, it is 100% outdoor suitable. The device requires no extra battery and it is maintenance free. We would like to point out that the use of tuning tools like the Sx2 Dongle is not allowed on public roads, because the device manipulates the speed of your electric bicycle. You may only use tuning tools like the Sx2 Dongle on private, closed areas or on designated routes. Use the Sx2 Tuning Dongle for Panasonic electric bikes at your own risk. The manufacturer´s warranty of your electric bicycle may be limited or expire if you use tuning devices like the Sx2 Dongle.